Travelling is almost synonymous with an overseas spending spree. But before any of that can happen, you’ll need to exchange for your destination’s local currency. Money changer is probably the first thing that comes to mind. However, with ATM cards, credit cards and even multi-currency cards, there are actually many more options now. While the cost to exchange is rather negligible for just a day-trip to JB, it can really add up for longer trips to Europe or America. So we cover the different ways you can pay overseas to help you find a method that works best for you. The most common method is to go to a money changer and exchange your cash for cash in your desired currency. Money changers make money by charging at a rate that is higher than the market rate for their service. This is what they call ‘spread’ and it can vary depending on the money changer. With a popular money changer, you can usually get competitive rates better than what banks offer. A common go-to in Singapore are the money changers at The Arcade are as they generally have one of the better rates around town. Alternatively, there are also quite a few websites that compare the exchange rates of various money changers. So you can always do your homework online before heading down to convert your cash. WE BUY: it means “We buy foreign currencies from you at X rates”. When you want to change foreign currency back to SGD, you should look at the “we buy” price. WE SELL: it means “We sell foreign currencies to you at X rates”. 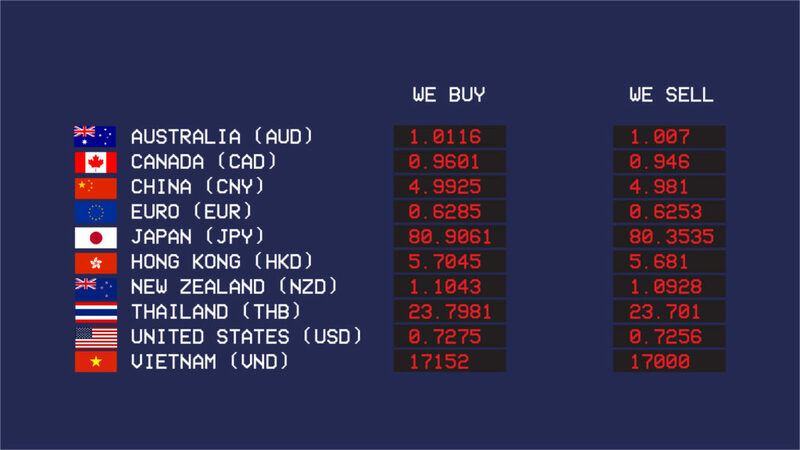 You should look at the “we sell” price If you’re planning to get foreign currencies. When you convert your foreign currency back to SGD, your money gets changed by the money changer twice. 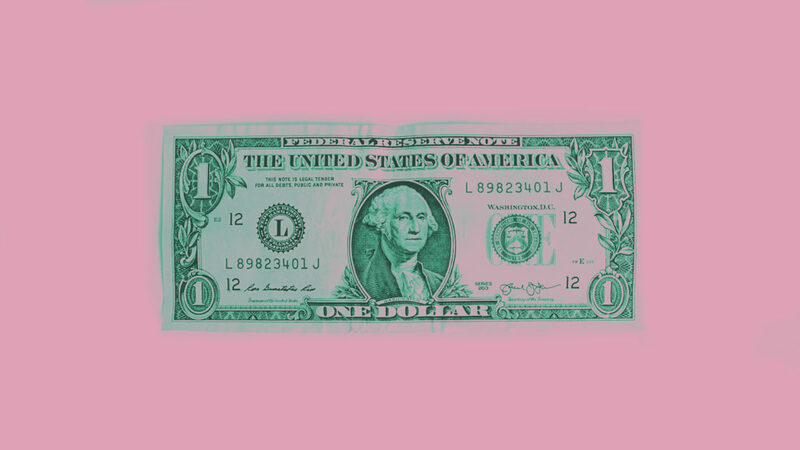 So ideally, you’ll want to change just enough, so that you don’t return with too much excess cash. 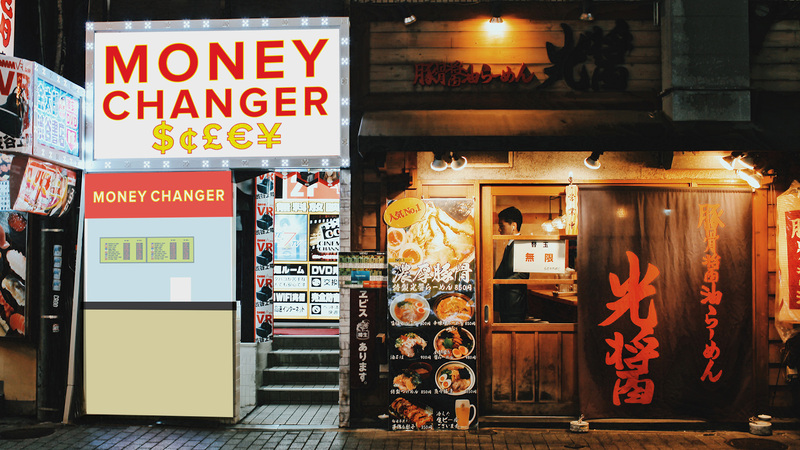 Should you change your Money with an Overseas Money Changer? This really depends on where you are headed. The rates offered are based on supply and demand, so you can get a rough sense by asking whether SGD is strong or popular in the country. For example, you wouldn’t want to exchange SGD in the US, as SGD isn’t in demand there. Therefore, you’ll be charged at a higher rate for the transaction. Also, if you are going to countries beyond ASEAN, you might consider bringing USD instead as some money changers might not even take SGD. Meanwhile, within ASEAN, SGD is a relatively popular currency given its strength. Therefore you might get a better deal if you convert within Malaysia and Indonesia. However, when changing overseas, you’ll need to do your homework and get a good idea of what exchange rate to expect to avoid scams. Ideal for: Smaller amounts of cash and when you have a good estimate of your spendings. To avoid changing excess cash, you can always go for a conservative estimate at the moneychanger and draw more at an ATM overseas. 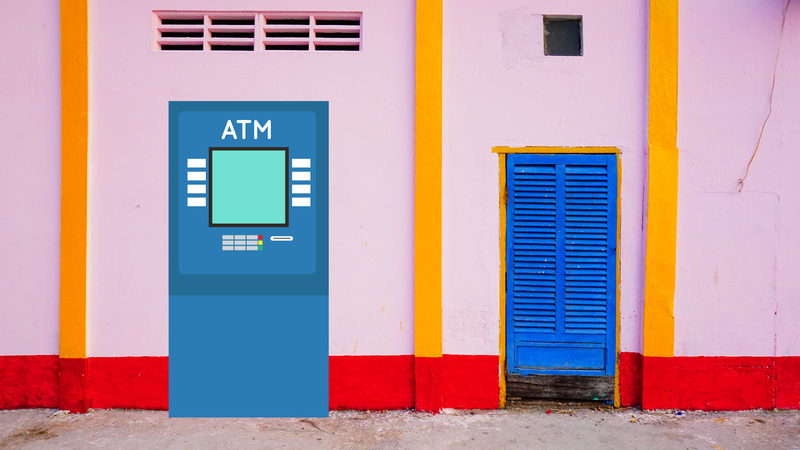 Do note that you’ll need to activate overseas withdrawal via a local ATM or online before withdrawing overseas. When you withdraw at a foreign ATM you’ll be charged an admin fee of about $5 with a conversion according to the bank’s rates. If you see an ATM belonging to the same bank (e.g. a DBS ATM in Hong Kong), you’ll want to go for that instead as these ATMs may waive or have lower admin fees. Simply withdraw it from the ATM like how you would withdraw from a regular ATM in Singapore. Ideal for: Replenishing cash for longer trips. Because of the $5 fee, unless you’re located near a fee-free ATM (depending on your bank card), it only makes sense to draw large lump sums at one go. Paying by credit card overseas is no different than doing it locally. Using credit card overseas helps you avoid the hassle of going to the money changer and avoids the problem of excess cash. However, this benefit comes at a cost. When you pay using a Singapore credit card, your money is actually converted from SGD to USD first before converting to your desired currency. This means you’ll be charged the markup for 2 conversions in a single transaction. On top of that, banks also charge an admin fee of 2-3%. With everything in, you can expect a 3-5% charge from your bank for each transaction. Ideal for: Travellers with a good travel credit card. 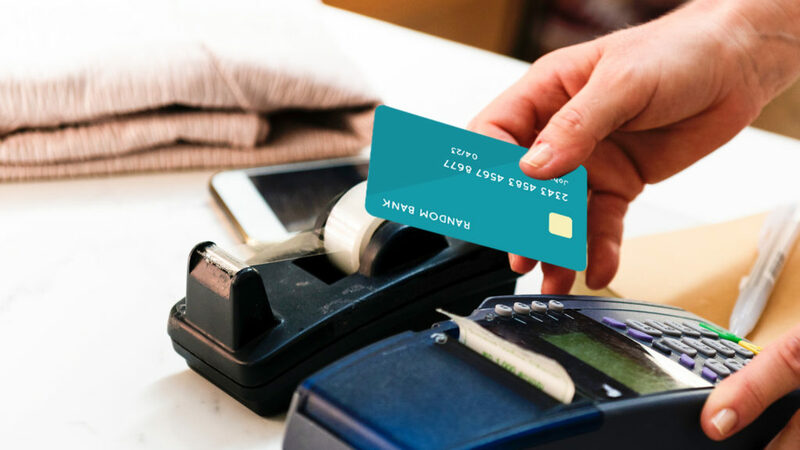 While the 3-5% fee is comparatively higher, if your card provides you with perks, discounts and points at your destination, it might still be worth using after all. If you are a frequent traveller, you might also want to consider opening a multi-currency account. It’s basically a bank account that holds multiple currencies. This allows you to convert your currency online at the bank’s rate and bypass the conversion fees that money changers and credit cards charge. Also, this allows you to convert when the rates are great as you save it for your future travels. You can also have your debit card linked to your MCA, so you can use it overseas like how you’d use your debit card locally. For example, if you’re going to US, you’ll want to convert some of your savings to USD. So when you use your card in US, your card will deduct from your pool of USD and avoid the usual conversion charges. Do note that as of now, depending on the bank, about 10-12 currencies are available for conversion so check if they have the currency you’ll be using frequently first before diving in. Like a normal bank account, depending on the bank, minimum balance and bank fees might also apply. Ideal for: Frequent travellers with heavy card spendings in specific currencies. If you don’t want to open another bank account just to hold multiple currencies, you can always use a multi-currency travel wallet instead. A travel wallet is very much like an MCA, with similar benefits like being able to convert to foreign currencies with no fees at any time. However, it avoids the need for a minimum balance. 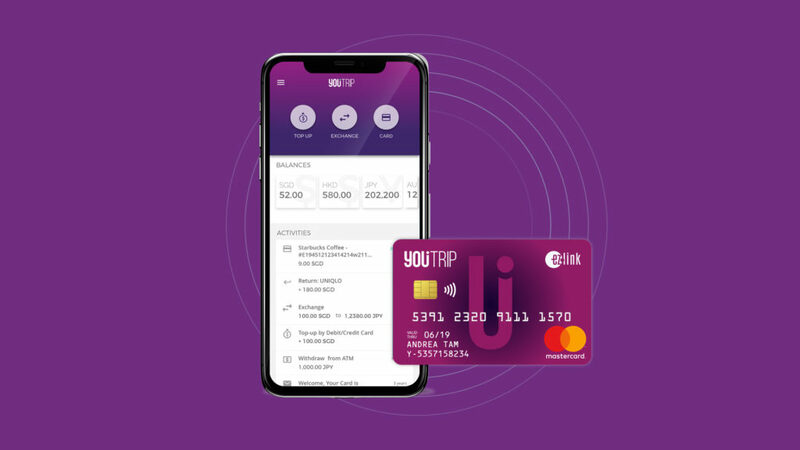 In Singapore, the only provider is YouTrip, a multi-currency mobile wallet linked to a physical Mastercard. YouTrip is a mobile app that allows you to apply for a free Mastercard after you’ve downloaded it. To use the YouTrip card for payments, you’ll have to store money in the account via the app. Then, simply use the card overseas like how you’d use a credit/debit card. You’ll be able to pay in more than 150 currencies for YouTrip where they automatically convert your stored SGD to the local currency. Most importantly, there are no extra fees or mark ups for the conversion and it happens at wholesale exchange rates (the same rates banks and other large corporations use for large volume transactions) – basically, a rate that will be very close to what you see on Google or at money changers. 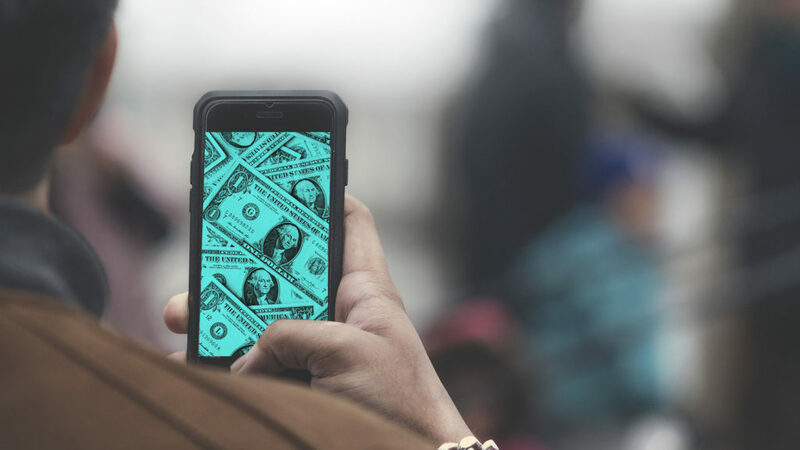 To lock down a good rate, you can also choose to convert your currency in-app to one of the ten currencies on offer, and spend in that rate on your future travels. Ideal for: Casual travellers with card spendings. With quite a few options to change to foreign currency, waiting in long queues for the best money changers in town no longer have to be your only option. Consider the length of your trip, the amount of spending estimated and how much cash vs credit will you really need. For most trips, a combination of a small amount of cash from the money changer along with a multi-currency card might be the best way to avoid unnecessary fees and excess foreign currency.